All Email Only Programs on Sale!!!!! Have you been wanting to do the Elite Health Coaching Junk Food Cleanse, Sugar Cleanse, or Veggie Pledge? Now is the TIME! All of these programs have been discounted by $10.00, making them only $15.00 each! Choose to do one or all 3! It is up to you. These can be used to get rid of the junk food in your life, your addiction to sugar, or maybe you are ready to take that next step towards a meatless way of life. You’ll receive a total of 11 personalized emails to help you focus on your goal, your new start, and exactly why you need to refuel! Elite Health Coaching will be with you every step of the way to answer any questions you may have throughout the program. Check out our programs that are currently $10.00! Take advantage of this great promotion! Please stay tuned while we update our site. Elite Health Coaching will be introducing a new and improved site within the next couple of months. Please feel free to take a look around this site for your health & wellness needs, along with recipes and information about Elite Health Coaching. We will still be taking phone calls and answering emails, so please contact us at 801-673-0427 with any questions about services and pricing, or fill out the contact form below. We will respond within 24 business hours. Have a great holiday season! When it comes to high fructose corn syrup, I do search every product that we bring into our home to ensure that it doesn’t contain high fructose corn syrup. By doing this at home, it allows us to worry less about what we are consuming when we aren’t at home. First of all, what is High Fructose Corn Syrup? It is any group of corn syrup that has undergone the enzymatic process to convert glucose into fructose. It entered the US Food System in the 1970’s – 1980’s. It is just as sweet as table sugar (sucrose), acts as a preservative, and is also much cheaper to use than other sweeteners such as sugar. The difference between table sugar and high fructose corn syrup is that table sugar is comprised of glucose and fructose that are chemically bonded together. The body must break down the sugar before the glucose and fructose enter our bloodstream. When it comes to high fructose corn syrup, glucose and fructose are only blended together. This makes it so there is no need for our body to break down the sugar. It can be absorbed into the bloodstream faster than table sugar. Obesity has been on the rise for the last 30-40 years. This is no coincidence that it has been on the rise since the introduction of high fructose corn syrup. The body is able to absorb this much faster than sugar, and our bodies do not need to break it down for it to enter the bloodstream. The average human consumes upwards of 60lbs of high fructose corn syrup per year! High fructose corn syrup favors fat production in the liver. High fructose corn syrup is typically found in low quality, processed foods. Next time you are at the grocery store, compare brands (one containing HFCS, the other does not). You’ll typically find that the higher quality foods do not contain high fructose corn syrup. 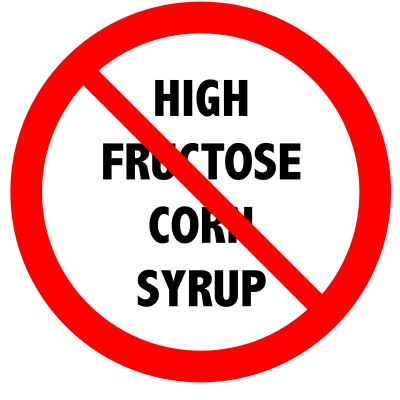 In recent years, the FDA rejected a name change for high fructose corn syrup. The Corn Refiner’s Association is pushing to change the name to corn sugar, due to the bad name that high fructose corn syrup has received recently. However the FDA did reject that name change based on the fact that they say it implies that the product is in fact a solid, crystalized sweetener, and not a syrup which it is. The FDA believes this name change would cause confusion amongst consumers. Utah County: Payson, Spanish Fork, Springville, Provo, Orem, Lindon, Pleasant Grove, American Fork, Alpine, Highland, Saratoga Springs, Eagle Mountain, Cedar Hills, and Lehi! Salt Lake County: Draper, Bluffdale, Riverton, Herriman, Sandy, West Valley City, South Jordan, West Jordan, Cottonwood Heights, Midvale, Murray, Taylorsville, Millcreek, Holladay, Sugarhouse, Salt Lake City, Kearns, Rose Park, and Glendale! Weber County: Farr West, Riverdale, Ogden, Pleasant View, Plain City, Harrisville, West Haven, Roy, Hooper, and Washington Terrace! Davis County: Bountiful, Centerville, Clearfield, Clinton, Farmington, Fruit Heights, Kaysville, Layton, North Salt Lake, South Weber, Sunset, Syracuse, West Bountiful, West Point, and Woods Cross! Still not convinced that you could benefit from hiring a health coach, contact me at Sadie@elitehealthcoaching.com. We can set up a time to go over the benefits, costs, and any other concerns that you may have! Review of a health history that you will fill out prior to the consultation. The health history includes questions about your current health, previous & current eating and exercise habits, along with some questions about your current state of health. It’ll give us an idea of your overall health & wellness so we know exactly what you need and what you are looking for. We will go over any goals that you have set for yourself and also set goals for your future. We will review all of the services that Elite Health Coaching has to offer to determine what’s the best fit for you! We will meet in a private, comfortable area where it’ll be a judgement free zone where you are free to talk about whatever comes to mind. Remember this is a no-fee, no-obligation health & wellness consultation. You’ll leave with new knowledge about yourself, along with the understanding of how a certified health coach can benefit you. I look forward to speaking with you and letting you know about all the benefits you’ll receive when working with Elite Health Coaching. 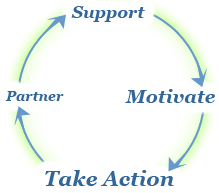 elite health coaching, Health Coaching, Wellness Coaching, What is a No-Cost No-Obligation Health & Wellness Consultation? 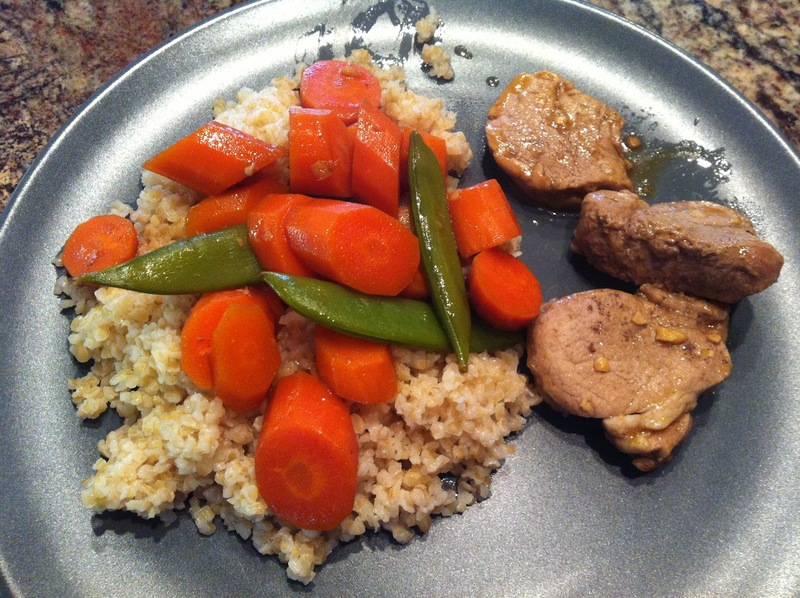 Pork Medallions with Asian-Style Veggies – Great Dinner Recipe! Prepare bulgar as directed. I purchased mine in bulk at Whole Foods, and it called for 1 cup bulgar and 2 1/2 cups boiling water. I cooked this for 25 minutes, then turned off the heat while everything else cooked as well. While the bulgar cooks, heat oil on medium heat. Add garlic, and cook for 2-3 minutes. Sprinkle pork with 1/2 tsp of five-spice powder and 1/4 tsp salt. Place pork in the pan along with 1 TBSP hoisin sauce and 1 TBSP soy sauce. Cook until pork is no longer pink, and reaches internal temperature of 145-160. Once pork is done, remove from pan. I placed mine on a plate and covered with foil. In the same pan the pork was cooked in, add carrots, snap peas, ginger, water, 1/2 tsp five-spice powder, 1 TBSP hoisin sauce, and 1 TBSP soy sauce. Cook for about 10 minutes until the carrots are tender. Add pork back into the pan with the veggies. Once everything has been cooked, place bulgar on a plate, and top with veggies and sauce, served with the pork on the side. I served Garlic Naan with this as it’s a family favorite. **This was my first time cooking and eating bulgar. It had a taste similar to brown rice, but a texture like oatmeal. I am not a fan of oatmeal (wish I was), but this was really good. My husband wants to try bulgar with brown sugar and butter on top for breakfast. The kids enjoyed it and I can definitely see us cooking with this a little more. What is a staycation exactly? It’s basically a vacation where you stay at home. If it doesn’t sound like fun, here are some reasons that you should consider taking a staycation! Save money! – Everyone loves to save money. With a staycation, you won’t need to spend money on a rental car, flights, gas money, hotels, etc. Quality family time – To get everyone involved in the fun, plan the activities that you want to do together. 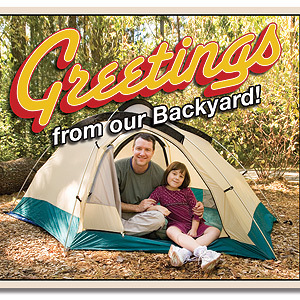 This can be anything from visiting your local zoo or aquarium, to hiking, to camping in the back yard. Get everyone involved to maximize your family time. Less stress than a vacation – You won’t need to worry about missed flights, lost luggage, arguing over which restaurant to eat at. Take it one day at a time and relax. Enjoy your surroundings – Maybe there have been places that you’ve wanted to visit, but didn’t necessarily have the time, especially on a week day. Imagine taking a hike on a Wednesday afternoon when most people are at work. It’ll make it that much more enjoyable. Discover new places in your area – By enlisting the help of your family, you can come up with really great ideas of how to spend your time. Maybe you have heard of a fishing spot that you’ve never been to, or you have a National Park nearby. Go and discover these places. No excuses when you don’t have anything planned. Benefits your local economy – The money you will be spending on your staycation, will go right back to your local area and local businesses. Less preparation – With a staycation, you don’t need to worry about everyone having their bags packed and ready to go. You don’t need to worry about packing entertainment and snacks for the road trip. Sleep in and enjoy the time with your family.